Mention "home Wi-Fi router" and you’ll probably think of a cheap device with cruddy performance. But dramatic changes are coming, with big boosts in bandwidth, thanks to two new Wi-Fi technologies. Both beamforming and MU-MIMO (an acronym for the mouthful that is “multi-user, multiple input, multiple output”) are transformational technologies. We tested them in the new Linksys EA-7500, the company’s first small office/home office router to support the so-called Wave 2 technologies. The first of these technologies, beamforming, makes more efficient use of the radios in Wi-Fi routers. Before beamforming, Wi-Fi routers worked like light bulbs, with signals radiating in all directions. Problem is, signals only need to travel where Wi-Fi devices are – and that’s typically just a small part of the total coverage area. With beamforming, Wi-Fi routers and and clients exchange information about their locations. Then, the router alters its phase and power for a better signal. The result: Far more efficient use of radio signals, faster forwarding, and possibly greater distances. Beamforming comes in two flavors. With explicit beamforming, both client and Wi-Fi router share information about radio reception from their respective locations. This allows for the most efficient “steering” of signals between the Wi-Fi router and clients. Many recent devices, such as Apple smartphones and tablets made within the past two years, support explicit beamforming. Even older clients may still benefit. With implicit beamforming, the Wi-Fi router steers signals based on its own measurements, without signal information from clients. Implicit beamforming doesn’t work as well as the explicit version, but some performance gains still are possible. Beamforming makes possible a much bigger advance in Wi-Fi: MU-MIMO. 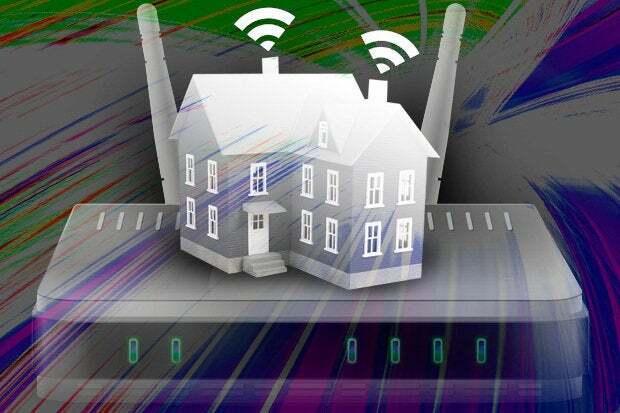 Until now, Wi-Fi routers have essentially been single-taskers, sending or receiving data from one device at a time. Earlier versions of the 802.11 standard, including 802.11n and Wave 1 versions of 802.11ac, described a multitasking method using “spatial streams” to carry on simultaneous conversations, but until now there wasn’t a standard method for talking with multiple clients at the same time. With MU-MIMO, now there is. This is a really big deal, as it makes vastly more bandwidth available to wireless clients. For those old enough to remember, MU-MIMO is just as revolutionary as Ethernet switching was 20 years ago. Like switching, MU-MIMO moves networking away from the old shared-access, one-at-a-time model to a more capable system where multiple devices can speak simultaneously. You weren’t around back when Ethernet switching took root? Then imagine moving from a single-lane country road to a big superhighway. Either way, it’s a big boost in capacity. To see how well the Linksys EA-7500 implements the new technologies, I measured performance in our upstairs study – the room in our house with the worst Wi-Fi coverage, and thus a tough place to measure speed. My test device was an iPhone 6 Plus (non-S, but newer than 2 years old, so a good candidate to test explicit beamforming). Setup was really easy. After plugging everything in (the Linksys device includes a four-port Ethernet switch for wired devices) and powering up, I configured the Linksys router through a Web interface. After downloading and installing a firmware upgrade, it took me less than 3 minutes to get up and running. The goal in our performance tests was to compare transfer rates between an old 802.11n access point vs. the new Linksys EA7500 router. First, though, a word of caution. Anytime you see over-the-air Wi-Fi performance numbers, including the ones I’m about to share, proceed with caution. Over-the-air testing is highly variable, with many external factors that affect results – other Wi-Fi devices, other non Wi-Fi devices, the type of building structure, and even sunspots can affect results. The best advice is to treat Wi-Fi performance test results with a healthy dose of skepticism, and use them as guidelines rather than absolute predictors of the performance you can expect in your environment. With an old 802.11n access point without beamforming, my iPhone downloaded data at around 25Mbps. Download rates were pretty consistent across multiple trials. Then we swapped in the Linksys router. This time, downloads went way faster – around 58Mbps, again very consistently across multiple trials. And that’s nowhere near the limit for the EA-7500; in this case, our home cable modem tops out at 60Mbps. With a bigger Internet pipe, 802.11ac devices with MU-MIMO can go far faster. Even with the above caveats in mind, transfer rates improved by a better than 2x factor. That alone is a good reason to consider beamforming and MU-MIMO. We had only a couple of minor gripes, and neither one is Linksys’ fault. First, this is a consumer-grade SoHo router, clearly intended for home use. If you need an enterprise-grade product with features like SNMP or controller-based management, Linksys has separate products for business (as do the usual enterprise Wi-Fi vendors such as Cisco, Aruba/HP Enterprise, Aerohive, Juniper, and Ruckus/Brocade). Second, because it’s brand new, the EA-7500 doesn’t yet support OpenWRT, an open-source project with Linux-based replacement firmware for many access points. OpenWRT offers the Linux kernel’s latest performance tweaks, Web-based management, and a strong emphasis on security that isn’t always present in SoHo router firmware. Commendably, Linksys makes many products that run OpenWRT (including the EA-6900 that the EA-7500 replaces). It’s reasonable to think an OpenWRT image will be available for the EA-7500 within a few months. In all these cases, we saw significant improvements using MU-MIMO and beamforming technology in the Linksys EA7500 Wi-Fi router.